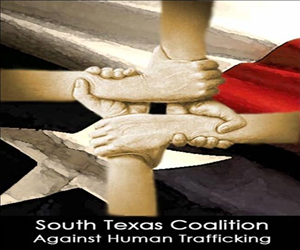 The 2011 South Texas Anti-Trafficking Conference theme was held at the Omni Hotel here in San Antonio, TX on February 28 - March 1. The theme, "Human Trafficking...It's Happening Here, It's Happening Now." highlighted the idea behind the conference, that human trafficking is happening in our own backyards and we need to do something about it. The conference offered sessions of training from investigations, prosecutions, providing services to victims of trafficking and crime, and in-depth discussions on working with human trafficking survivors. Attendees of the conference included individuals from law enforcement, social services, juvenile advocates educators, medical personnel, NGOs, and other organizations interested in understanding the issue and working to eradicate trafficking. Keynote Speaker, Texas Attorney General Greg Abbott spoke on the importance of a collaborative effort in our community to eradicate human trafficking, and also spoke of the growing success we've had in San Antonio of identifying and prosecuting human traffickers as well as rescuing victims. We heard from a trafficking survivor from California, Shyima Hall, and her agent on the case, Mark Abend. Shyima and Mark collaboratively shared the story of Shyima's life and how she ended up as a slave in California. After being transported to the United States at 10 years old, Shyima worked without pay and schooling for several years until she was finally discovered by local law enforcement. Shyima's story was inspiring from both sides - in seeing a survivor of trafficking now lead a successful life, and also understanding the hard work law enforcement went through to identify and rescue Shyima. The conference was an informative, collaborative and inspirational conference - allowing individuals and organizations to network so as to increase awareness and prevention of trafficking in our city, country and around the world. We feel priveleged to have attended and we gained a greater understanding of the issue, the needs and where we the Freedom Youth Project fits in to the big picture.